Like so many within the Australian mathematical science community, staff and members of the Australian Mathematical Sciences Institute (AMSI) have been saddened by the recent passing of Professor Peter Hall FRS, FAA, AO. One of the discipline’s most iconic and respected leaders, Professor Hall will be remembered through his rich legacy of outstanding leadership and contribution to the Australian and global mathematical sciences. A preeminent leader in the field of applied and theoretical statistics and probability theory, Peter published over 500 papers in some of the world’s most prestigious journals. His work contributed to our understanding of statistics and probability theory, including nonparametric statistics and mathematical applications across broader fields. Highly awarded, he was a Fellow of the Australian Academy of Science and of the Royal Society. A Foreign Associate of the National Academy of Science in the United States of America, he was he was elected to the Australian Academy of Social Sciences in 2015. The inaugural chair of AMSI’s Scientific Advisory Committee, the program flourished under his stewardship invigorating the Australian mathematical community. Featuring high profile international speakers, the events strengthened ties between the Australian and global mathematics communities. 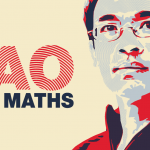 Peter’s leadership of this program contributed to a sense of national identity amongst Australian mathematical scientists, students and AMSI’s member institutions. In recognition of his contribution to the institute and mathematical sciences, Peter was one of the inaugural recipients of the AMSI Distinguished Service Medal in 2012. A research leader, mentor and advocate, Peter made an indelible impact that extended well beyond AMSI, including significant contributions to policy development, research output and grant success within the discipline. He was a major contributor to the 2006 Review of Mathematical Sciences, which resulted in recommendations including funding changes. He also held key leadership positions, including President of the Australian Mathematical Society (2006 – 2008) and Secretary for Physical Sciences at the Australian Academy of Sciences. Most recently he chaired the Executive Committee of the Australian Academy of Science’s Decadal Plan for the Mathematical Sciences 2016-2025 and led the establishment of the Australian Research Council Centre of Excellence in Mathematical and Statistical Frontiers. Much respected and admired by all those he worked with, he will be remembered as a giant of the mathematical sciences who was as much a part of the fabric of Australian statistics as it was of him.